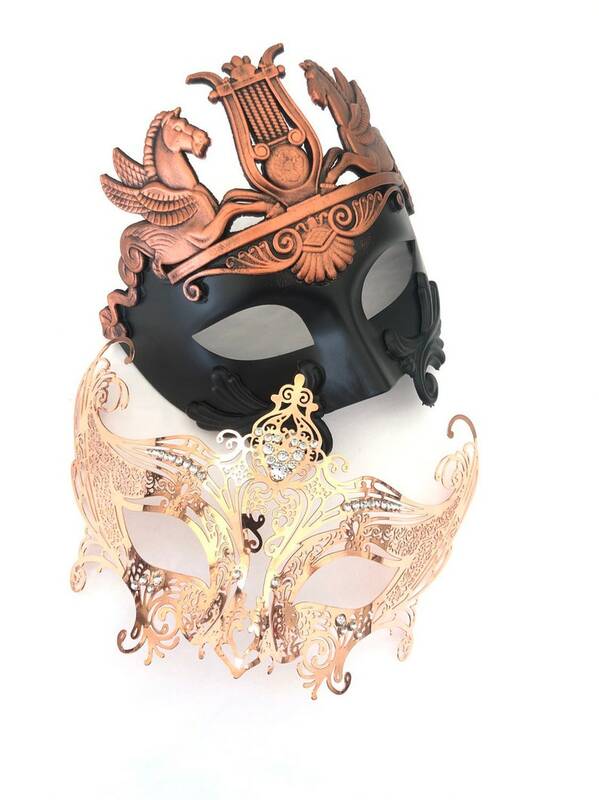 The picture shows the rose gold women’s mask and rose gold men’s mask. 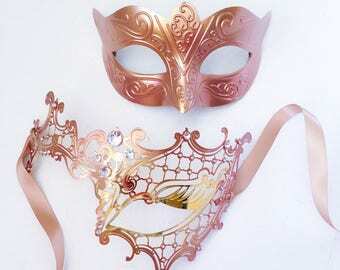 The pictures don’t do justice to the rose gold shade of the women’s mask, pls note it is all rose gold. 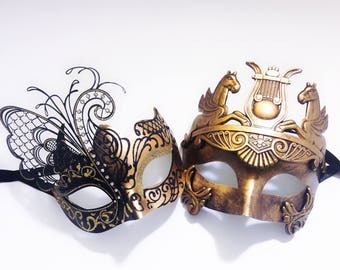 The lighting reflects on the metal and may give a gold shade. 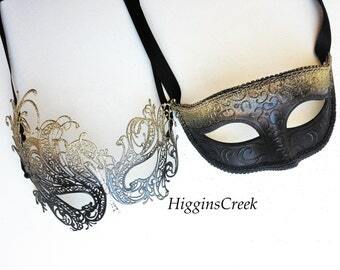 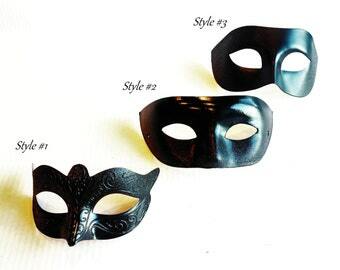 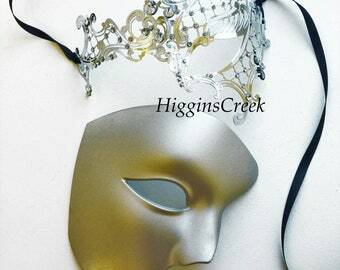 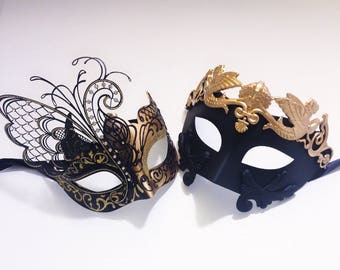 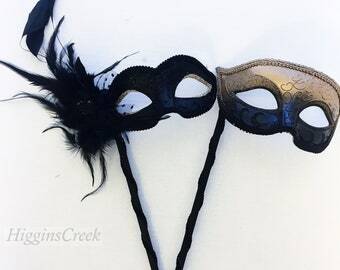 The men’s and women’s masks are available in black, gold or silver as well.